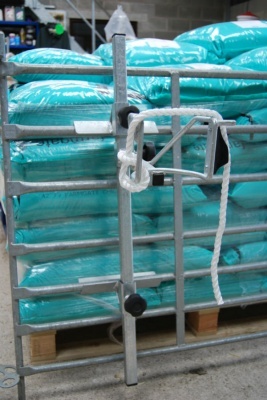 The easy way to hold your sheep for show preparation tagging etc. The sheep is supported in a U shaped bracket and held in place by a rope placed behind the ears fastened in a hook cleat. 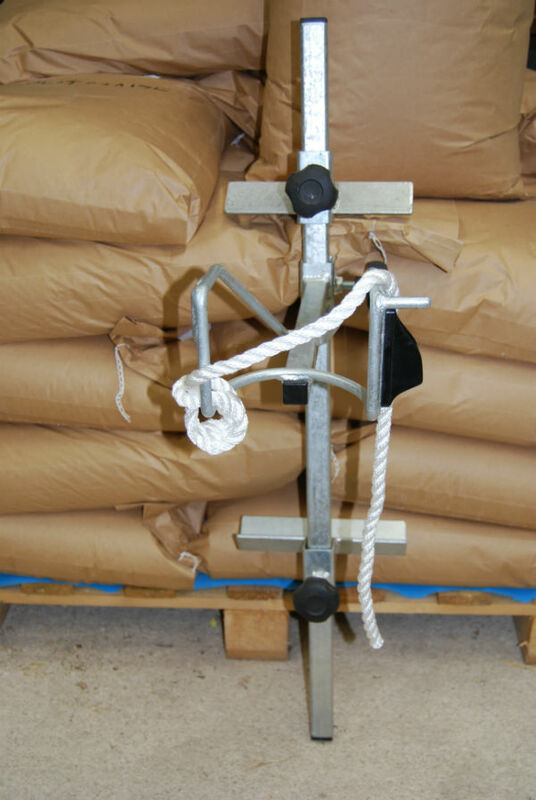 The headstock can be attached to any gate or hurdle (round or square) using adjustable brackets. Sheep will stand quietly in this headstock. It is manufactured from heavy duty galvanised steel.